Hello Guys, Today Is 3 June. 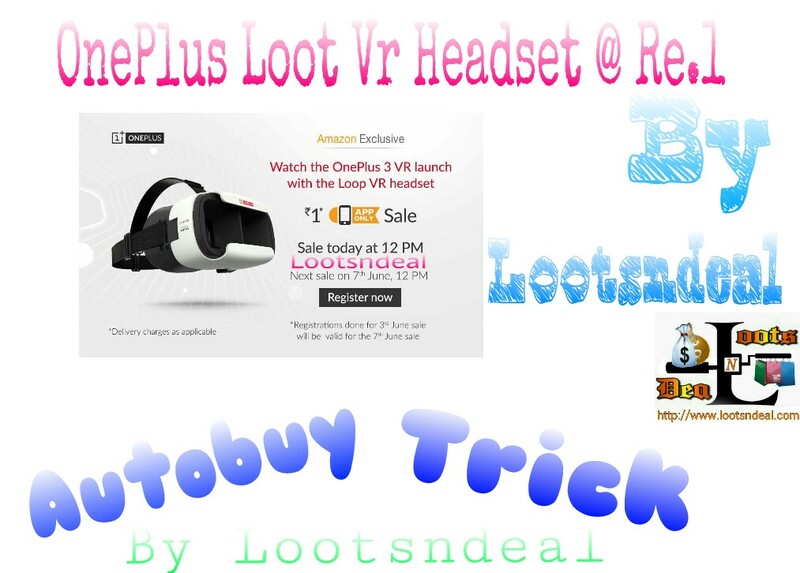 Have You Learnt thta today is Loop VR Omepus Headset Sale At Just Re.1 On Amazon App. Are You All Ready to grab it ? If your answer is yes. We are hear to insure that you can successfully order if with a simple trick. 2. Run this app on your Android Rooted Smartphone. 3. Open The App and Grant Su Permissions When Asked. 4. Now Click On Start. 4. We can see a black bar with 4 buttons at the right side of your screen. 5. Click On Blue Star Button and Click On Settings. 7. Now Open Sale Page On Amazon App. 8. Click On The Red Circle and then click the area to be clicked. 9. Press Red Button Again And Stop Recording. 10. Now It will automatically start clicking on the preferred area at very high speed ( As You Have Select At Step 6 ), and the Product Will Be Added To Your Cart. 11. Now Checkout Fastly and Grab The Product.